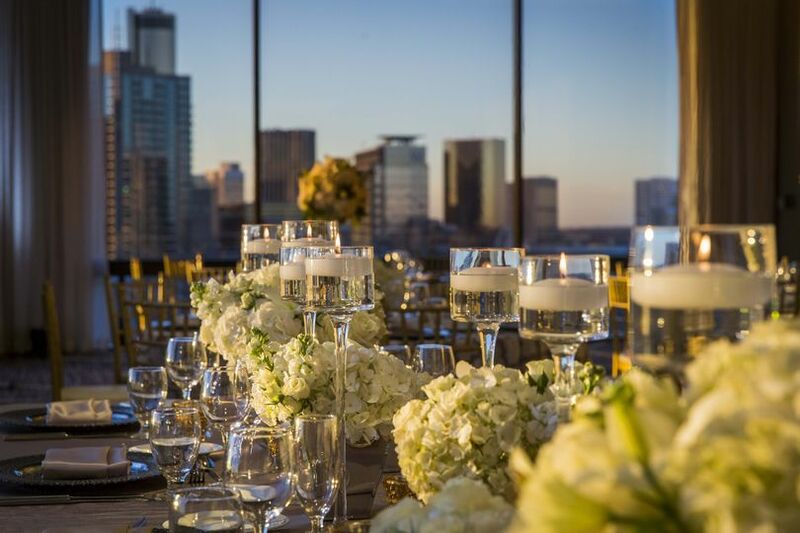 The Crowne Plaza Atlanta-Midtown is a hotel wedding venue located in Atlanta, Georgia that features our premiere venue - The Sky Room (located on our 25th floor). 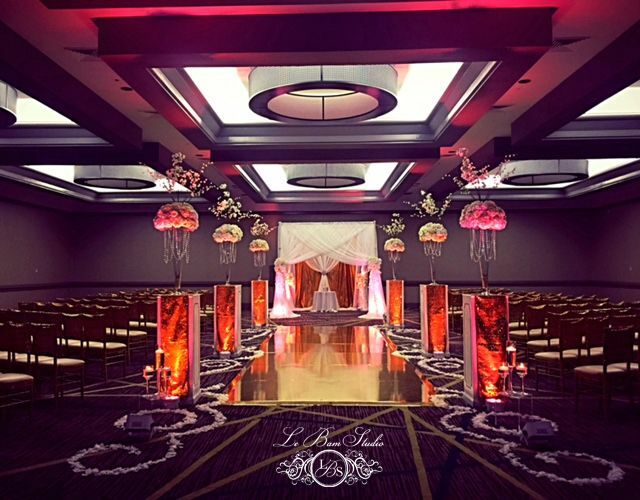 This venue provides you with a sleek city backdrop as you exchange your vows in Sky West and continue your celebration with family and guests in Sky East. 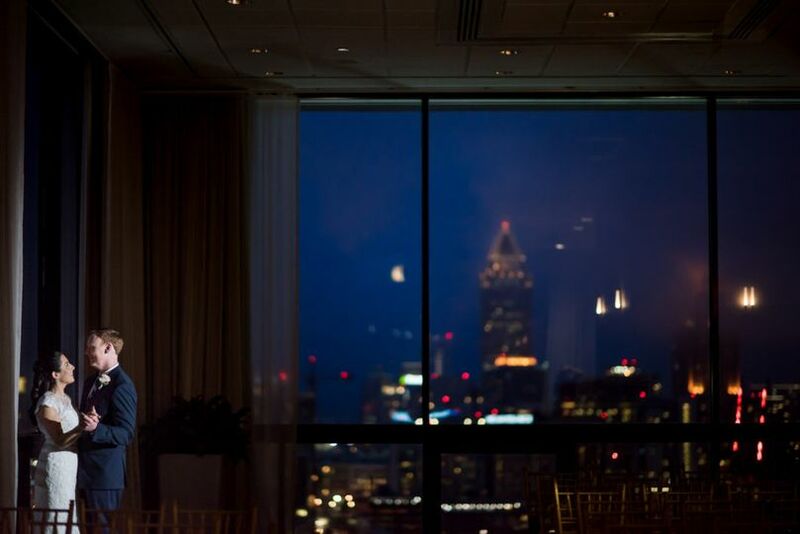 The Sky Room will allow you to experience the expansive city skyline, with amazing views of downtown and midtown Atlanta. We can also accommodate larger events in our Georgia Ballroom with ample pre-function space for cocktail receptions and buffet service. 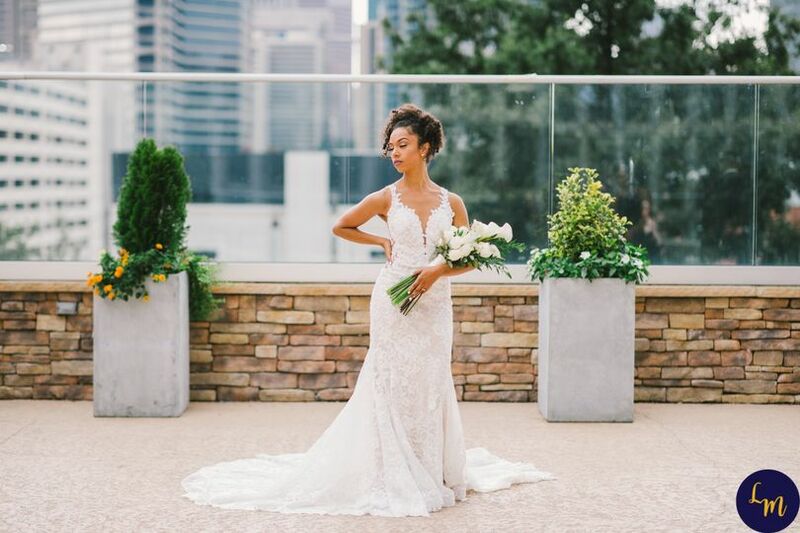 At the Crowne Plaza Atlanta-Midtown, couples can celebrate their special day in our SKY Room or Georgia Ballroom. 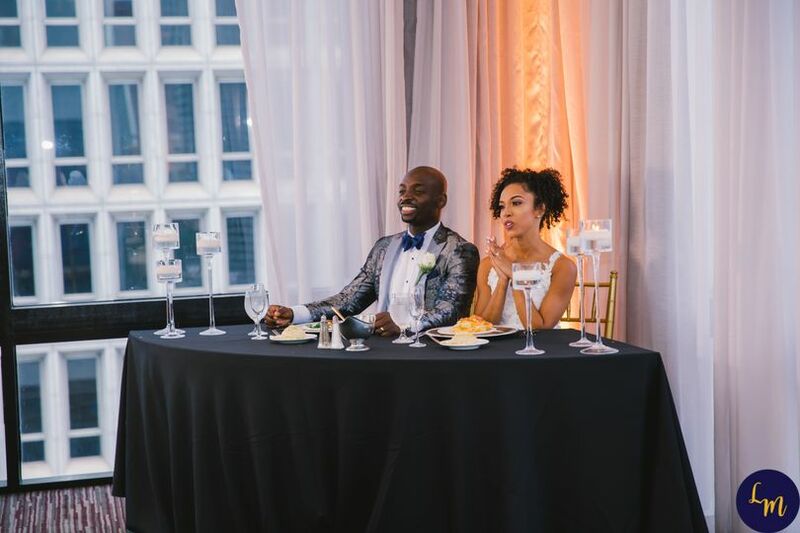 Our venues can accommodate between 150 - 300 guests for rehearsal dinners, engagement parties, farewell breakfasts in addition to wedding ceremonies and receptions. We can also offer attractive courtesy room block rates so guests can continue their stay in our stylish accommodations (which include wireless Internet access, 24 hour fitness center, out-door pool area and dining outlets). Please contact one of our Catering Managers directly for additional event details, wedding package information and to schedule a tour of our property. 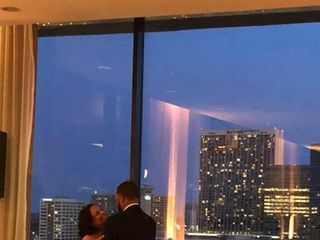 When I selected The Sky Room - Crowne Plaza Midtown as my wedding venue, it was partially because of Gillian Harte - who was a complete stranger just doing her job - but she managed to make me feel LOVED and taken care of. The other part was simply - the VIEW. OMG the views are just staggeringly beautiful. You can't even imagine. And it does it no justice when you come in the middle of the day to talk business. The views are gorgeous then, but it does NOT compare to when you have your wedding and everything is all set up and the views are the backdrop. It's just a whole different vibe. Amazing. But once I chose the Crowne Plaza - that was it, they treated me like FAMILY. Gillian became my wedding "mom" and guided me through the entire process and all the selections. The staff!!! OMG the staff was amazing. I am far from a Bridezilla - but anything I wanted and needed was provided before I could even ask. The young men in the lobby who helped me with the MILLIONS of things I needed to carry up to the room, the valets who left my car in front for me because I needed to jet out after my rehearsal. The servers that handed me drinks ALL night so that I never even SAW the front of the bar. It was so beautiful. 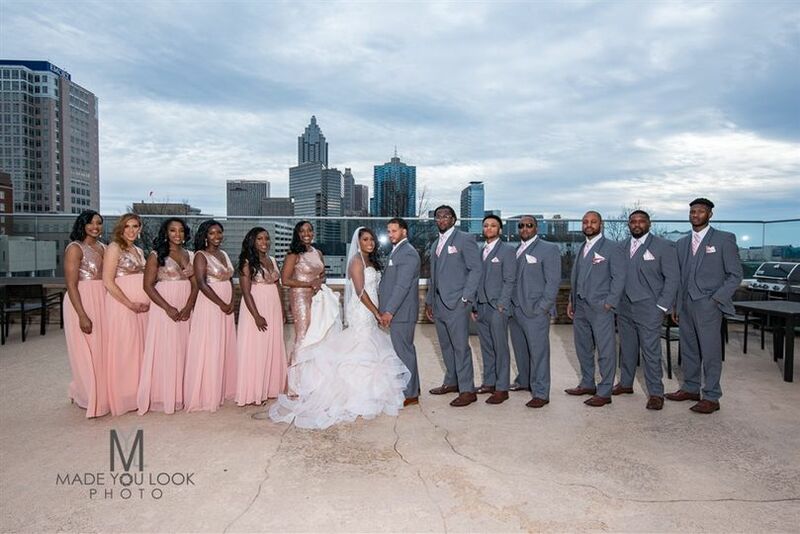 It was absolutely amazing and Atlanta's skyline was the backdrop. I promise you if you choose this venue you will NEVER be disappointed. It was the BEST!!! 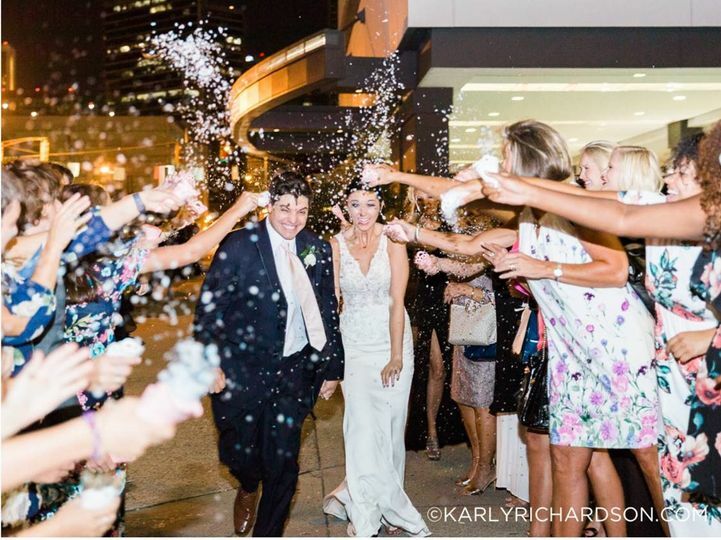 I knew that I made the right decision when I was asked, "If you won the lottery before the wedding what would you do differently - or what would you add?" And I said, "Absolutely nothing." It was perfect!!! 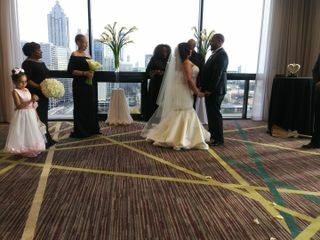 Crowne Plaza helped make our special day very memorable. They were so professional and detail oriented. Crowne Plaza made us feel so special and helped with everything along the way and answered any question we had. The staff was great throughout the entire process. They didn't just treat us like clients, they treated us like family! Our families are STILL impressed by how classy & professional everything was, & they're STILL excited about the whole experience. The wedding was amazing. The wedding pictures were amazing as well. 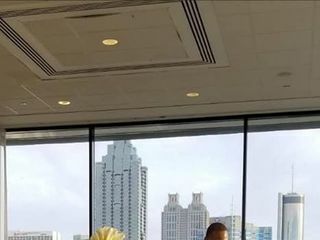 The pictures we got from the 25th floor, the lobby area, & the outdoor pool area, sets the Crowne Plaza Atlanta Midtown above & apart from any other hotel in Atlanta. 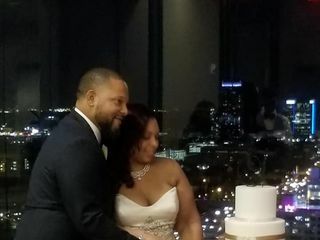 I will always appreciate the staff at the Crowne Plaza Atlanta Midtown for making my wedding, slash birthday party, slash family reunion, very special. It wasn't just memorable, it was unforgettable.